Monterey, CA, October 01, 2018 — The Monterey Cowboy Festival celebrates its 20th anniversary this year, so saddle up and mosey on down to the Monterey County Fair & Event Center on Nov. 3, and enjoy music from country artists such as Jon Pardi and Corb Lund, cowboy poetry, food and drink and a western art and gear marketplace. The festival celebrates Monterey’s contribution to our country’s western heritage, bringing people together to enjoy and learn more about the “cowboy way of life,” including its history, current values and culture. The majority of those years were led by the festival’s founder and former Monterey police chief, Gary Brown, who lost his battle with lung disease in 2016. Brown founded the Monterey Cowboy Poetry & Music Festival in 1998 in an effort to preserve the culture of the American cowboy, while doing all he could to give back to the local community. In an effort to continue Gary’s commitment to giving, the festival has announced the formation of the Gary Brown Scholarship Fund, which will focus on students in seventh to 12th grade in Monterey and Santa Cruz counties who are looking to enhance their music education in the areas of school tuition, music camp tuition, private music lessons, or musical equipment purchase/repair. To donate to the fund, go to https://www.montereycowboy.org/scholarship. 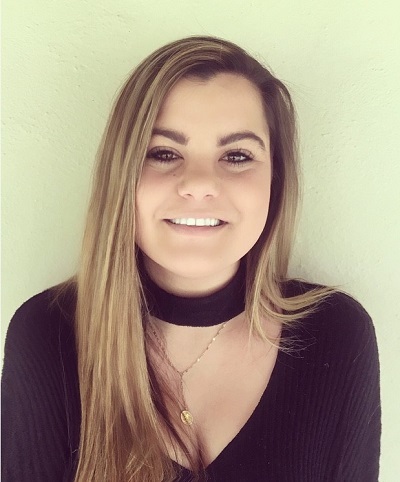 The Monterey County Fair & Event Center has announced the hiring of Nicolette Aldrete as Facility Marketing Representative. Monterey, CA, April 04, 2018 — The Monterey County Fair & Event Center has announced the hiring of Nicolette Aldrete as Facility Marketing Representative. Born and raised in Monterey, Aldrete is a 2013 graduate of Salinas High School, where she played volleyball all four years. She attended Sonoma State University in Rohnert Park as a wine business/marketing major, graduating in December 2017. Aldrete is the daughter of former San Francisco Giants and Oakland A’s professional baseball player Mike Aldrete, who is currently the assistant hitting coach for the A’s. She has two older brothers, Michael and Blake, and her mother Gina helps run the family’s whale-watching and fishing business on Fisherman’s Wharf in Monterey with her grandparents. Monterey, CA, March 24, 2018 – Get ready for home entertaining this Spring and Summer! Why not create a fabulous outdoor kitchen or back yard sanctuary, upgrade your dining room area or add a kitchen island for all of your great cooking projects. Simply Clear Marketing & Media (SCMM) is a professional event management and marketing company based on the Central Coast. SCMI currently produces 7 successful INSPIRED trade show events per year and is expanding its events and services. 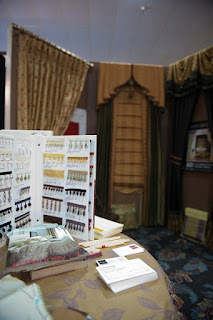 The Inspired Home Expos are designed to create an environment for consumers to find the products and services they need to create the home of their dreams. The vision behind the home expos is to create a location for local residents to meet face to face with local companies who can help them to create a beautiful living environment and increase the value of their homes. The health expos provide a location for residents to meet face to face with a variety of health, wellness, and fitness providers in the area. Simply Clear Marketing & Media’s mission is to help small businesses grow by connecting them with potential clients through events and marketing. For more information, go to www.InspiredExpos.com or call (805) 222-0772. Monterey, CA, August 02, 2017 – Save the date for the free 2017 Fall Inspired Home & Garden Expo on Saturday and Sunday October 14 and 15, 2017, at the Monterey County Fair & Event Center. Fall is a great time to evaluate your home and begin to initiate home renovation projects so you’ll be ready to enjoy holiday entertaining with family and friends. It’s also the perfect time to Get Inspired! Talk with hundreds of experts who can help you make both large and small changes to your home and garden area! Enjoy informative and entertaining seminars on both days. Presenting at this year’s Fall Expo will be John Lewis of Lewis Builders providing valuable seminars about effective ways for Aging in Place! Ask the experts! This year’s event will feature an array of fascinating and useful Home and Garden Exhibits, Daily Seminars, Live Chef Demos, Shopping, and Charity Partners as well as Expo Sponsors. Stop by for a few hours and discover the very best in home-improvement products, advice and inspiration. Start by visiting the Inspired Home Expo to plan your home improvement and landscaping vision and meet trusted experts who can make it a great reality. Unleash your creativity and create a true sanctuary where you can relax and rejuvenate in your beautiful home. Be sure to bring all of your home improvement ideas and remodeling projects to the Inspired Home & Garden Expo of Monterey. 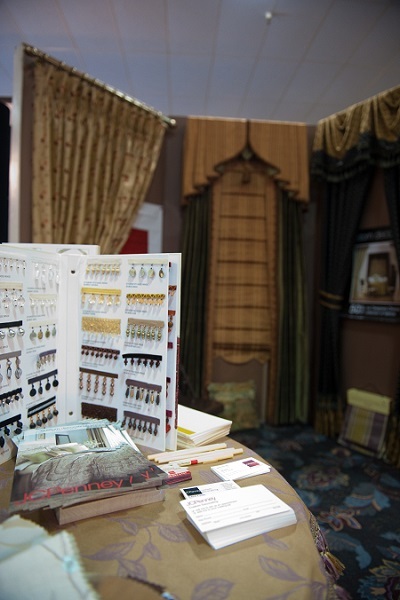 Experts at the Monterey Home Expo are there to answer all of your questions and help you get started. The Inspired Fall Home Expo exhibitors will include general contractors, flooring, landscapers, kitchen and bath, cabinets, closet organizers, landscape designers, painters, countertops, tile, granite, appliances, solar energy, fireplaces, and much more, most based in Monterey County! · Saturday, October 14, 2017 10 a.m. – 5 p.m.
· Sunday, October 15, 2017 10 a.m. – 4 p.m.
· The Fall 2017 Inspired Home Expo of Monterey will feature a full weekend of activities for homeowners plus the latest remodeling, landscaping and home accessory trends and tips. John Lewis found his calling as a college student at Cal Poly San Luis Obispo, though it wasn’t how you might expect a career path to unfold. Flash forward to 2017, as Lewis is now the founder of Lewis Builders, which specializes in designing and building custom homes, doing design/build remodels and “aging-in-place” renovations for retirees, older people and those with health concerns. His firm employs 15 people and moved into new offices in The Barnyard Shopping Center in Carmel. Design/build, simply put, is the same company doing the design and construction, from conception to completion, of a custom home or remodel. Design/builders have a better conception of the real costs of a project and how to fit that into a client’s budget; it saves significant time in the overall project; and the construction team works collaboratively with the design team. Aging-in-place is customizing homes with innovative, aesthetically pleasing solutions that alleviate the physical challenges of aging or injury. It’s not just a specialty, Lewis Builders is a credentialed expert in CAPS (Certified Aging-in-Place Specialist). A program of the National Association of Home Builders, the Certified Aging-in-Place Specialist (CAPS) designation program teaches the technical, business management, and customer service skills essential to competing in the fastest growing segment of the residential remodeling industry: home modifications for the aging-in-place. Born and raised in Monterey County, the youngest of five children, Lewis’s passion for the creative process of designing and building custom homes and remodels that started with small repair jobs in college, has now become his life’s work. · Free admission & parking! During the Fall 2017 Inspired Home Expo of Monterey weekend, there will be an outstanding line-up of seminars in the home, food and garden areas that include many experts in their field. Attendees can plan their visit to the Fall 2017 Inspired Home & Garden Expo of Monterey around many valuable remodeling workshops and home improvement seminar presentations by local experts and live chef demos and some seminars are now listed below. Updates about the seminars and the presenters will be posted on the website, InspiredExpos.com. Exhibitor booth and Sponsorship opportunities are available. For more information, go to www.InspiredExpos.com/Expos/Monterey. The free, fun and informative Fall 2017 Inspired Home & Garden Expo of Monterey will be held on Saturday and Sunday, October 14 and 15, 2017 at the Monterey Fair & Expo Center, 2004 Fairground Road, Monterey, CA. This not-to-be-missed event will feature about a hundred LOCAL home and garden professionals on site, many based in Monterey County, with all of your home project solutions. They will be available to answer all of your questions and provide expert advice for enhancing your indoor and outdoor living space. The Fall 2017 Inspired Home & Garden Expo will feature displays and exhibits of the latest ideas in home improvement, remodeling, interior design, decorating and landscaping. In addition, it will provide educational and informative seminars and demonstrations designed to help you enhance the beauty and the value of your home. Quality contractors, expert craftsmen, premier designers and home improvement professionals are there both days to focus on all of your needs to make your home meet your vision. Simply Clear Marketing & Media (SCMM) is a professional event management and marketing company based on the Central Coast. SCMM currently produces 7 successful INSPIRED trade show events per year and is expanding its events and services. The Inspired Home Expos are designed to create an environment for consumers to find the products and services they need to create the home of their dreams. The vision behind the home expos is to create a location for local residents to meet face to face with local companies who can help them to create a beautiful living environment and increase the value of their homes. The health expo provides a location for residents to meet face to face with a variety of health, wellness, and fitness providers in the area. Simply Clear Marketing & Media’s mission is to help small businesses grow by connecting them with potential clients through events and marketing. For more information, go to www.InspiredExpos.com or call (831) 222-0772.